Furman Bisher's stint as president of the Football Writers Association of America reinforced his national stature among sportswriters and journalists. 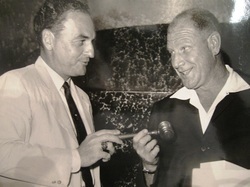 Here he is clowning around with Chicago White Sox owner Bill Veeck. 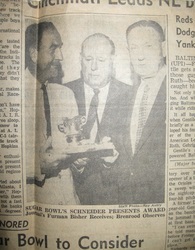 Furman Bisher is named Georgia Sportswriter of the Year by the National Sportscasters and Sportswriters Association (NSSA). Furman even covered professional bowling on the sports page. pal Bing Crosby wrote the foreword. 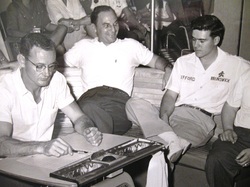 Coleman was the godfather of one Bisher child and the namesake of another. 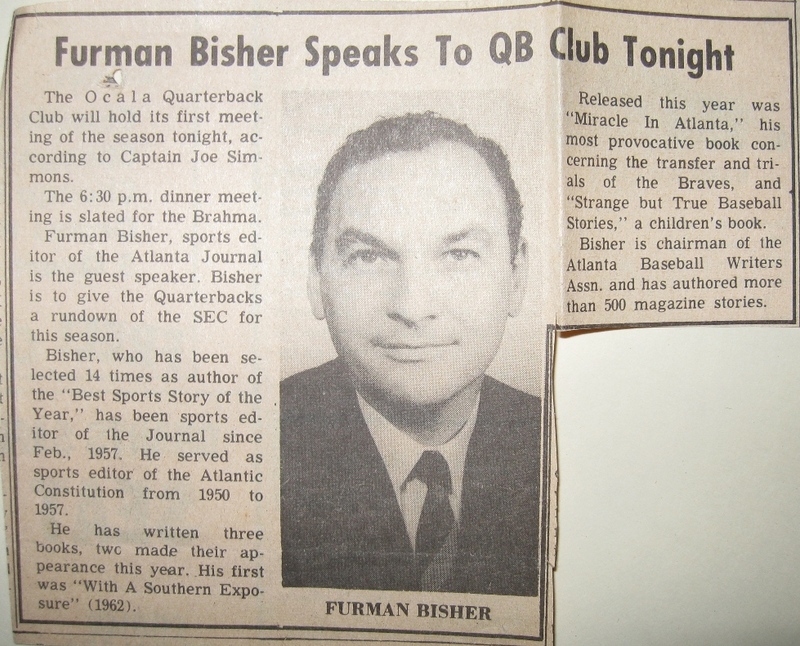 The Saturday Evening Post published Furman's article "College Football is Going Berserk," which spotlighted intentionally injurious hits. 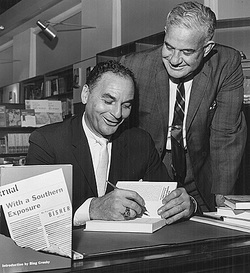 Alabama coach Bear Bryant indignantly cried foul, though he had had no objections when one of his players brutally threw an elbow into an opposing player's face after a play, breaking his nose, several teeth and facial bones. A vendetta against the Post by Bryant supporters crushed the venerable magazine in court, and death threats and stalkers shadowed the Bisher home for months. German boxer Max Schmeling dropped into Bisher's office at the Atlanta Journal. Furman Bisher's marriage to Montyne dissolved in a bitter divorce, and the court awarded him custody of his three young boys. 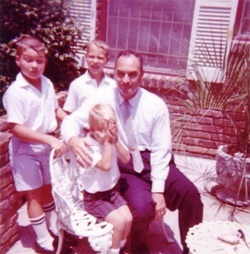 He pioneered the role of "single dad" long before it became common in the suburbs. 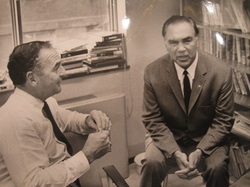 Montyne had ordered installation of the "burglar bars" (in the background) after frequent death threats, stalkers and strange cars during the controversies of the early 1960s. In 1994, Furman reminisced during a 5-hour drive with CBS Sports' Tony Barnhart: "He talked about raising three sons as a single father. The only time I ever saw him get emotional was when he talked about his boys." Bisher gathered in Atlanta with friends from his North Carolina hometown, Denton. From left, Mr. and Mrs. Tommy Wong, Miss Denton--Kay Taylor, and a rather nervous-looking Bisher. 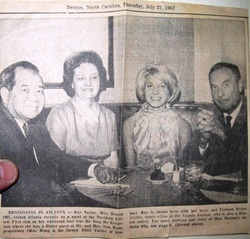 The Bishers were frequent visitors to Tommy Wong's Ding Ho Restaurant on Atlanta's Cain Street, N.E., before the block was demolished to make way for new offices and hotels. 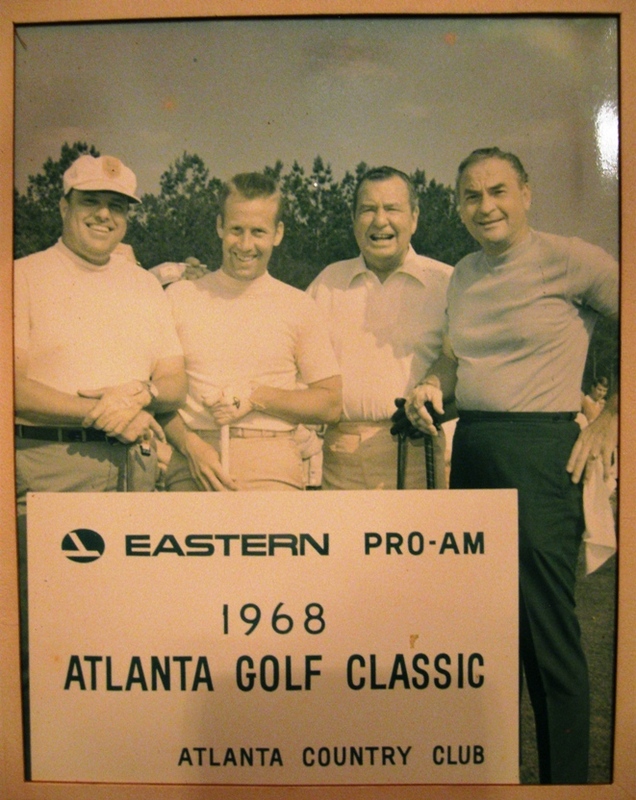 A happy foursome at the Atlanta Golf Classic Pro-Am. 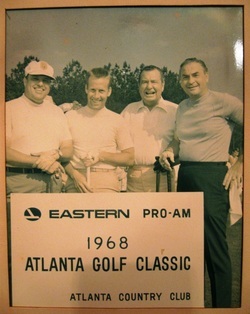 From left, publisher, businessman and best friend John Shea; unidentified fellow; entertainer Phil Harris; and Furman Bisher. NASA Houston Space Center. 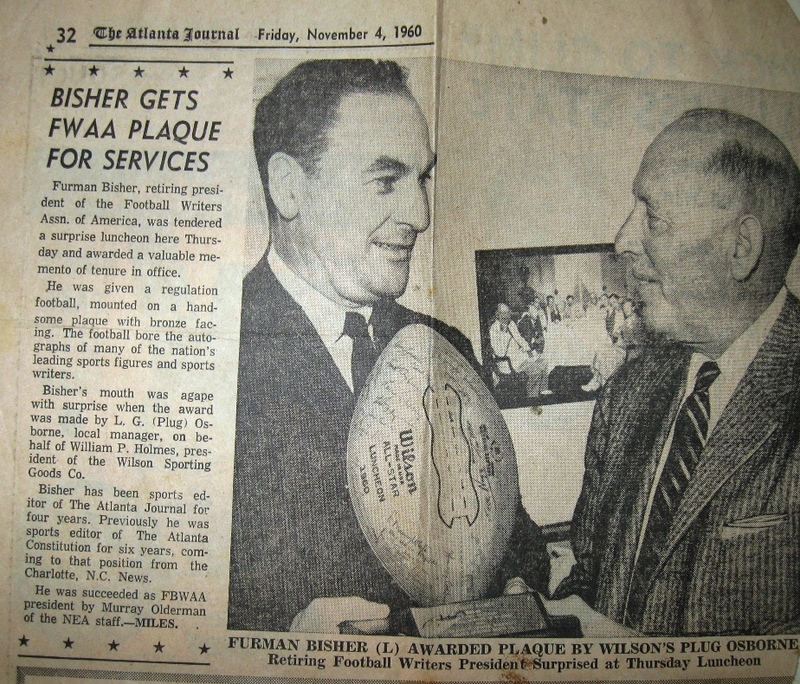 Furman Bisher visits. 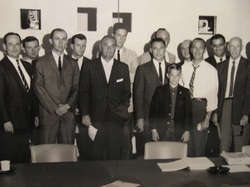 To his right in the photo, Gus Grissom and Alan Shepard (in white shirt).